Monday’s No.1 and No.2 movie at the North American box office. This Shyamalan’s actioner actually grossed $12.65m (vs. $13.54m for The Twilight Saga: Eclipse), according to Box Office Mojo. While Eclipse, starring the popular combo Robert Pattinson–Kristen Stewart–Taylor Lautner, has been performing a little below expectations, The Last Airbender, has been performing way above expectations. Shyamalan’s actioner went up an estimated 34.7% on Monday (vs. Eclipse‘s 18.4% decrease). One more drastic Eclipse attendance drop The Last Airbender can reach the top position at the North American box office. 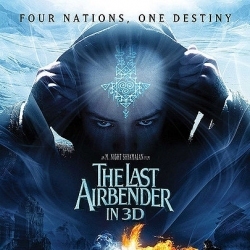 To date, The Last Airbender has collected $70.5m about $20 million more than many had predicted. And in order for Paramount to recover its $150m production costs alone not including the $130m spent on marketing, The Last Airbender would have to earn approximately $270-$300m domestically, as studios only get around 50-55% of a movie’s box-office gross. 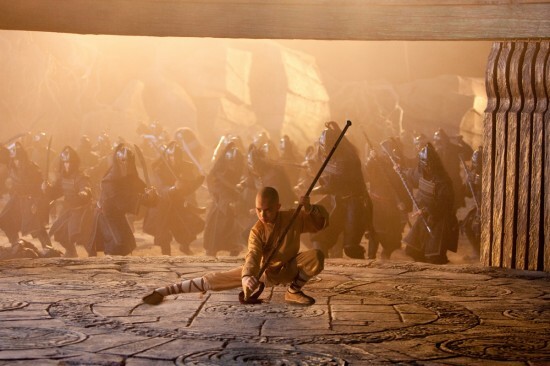 According to current box office numbers The Last Airbender doesn’t seem at all likely will get that far, but that’s where the overseas market should come to the rescue. The Last Airbender will open internationally just within few weeks. M. Night Shyamalan and his leading ‘Lady in the Water’ Bryce DallasHoward have made some creepy movies together. But here they charm usinto believing that not all bedtime stories induce sleep. Revised actuals have been released already – you may want to edit this post with the final figures. Difference is small but existent. The 130 million dollar marketing dollars also consist of the toys, manga/comics, shirts, and etc. Movies like this put the majority of their marketing dollars towards items. Most of the time they make it up with the sales, so 130 marketing is really nothing.